Venture into the Amazon aboard the Delfin I, Delfin II or Delfin III, luxurious Amazon river cruises and discover the immensity of a land that stands out for its uniqueness, beauty and diversity. 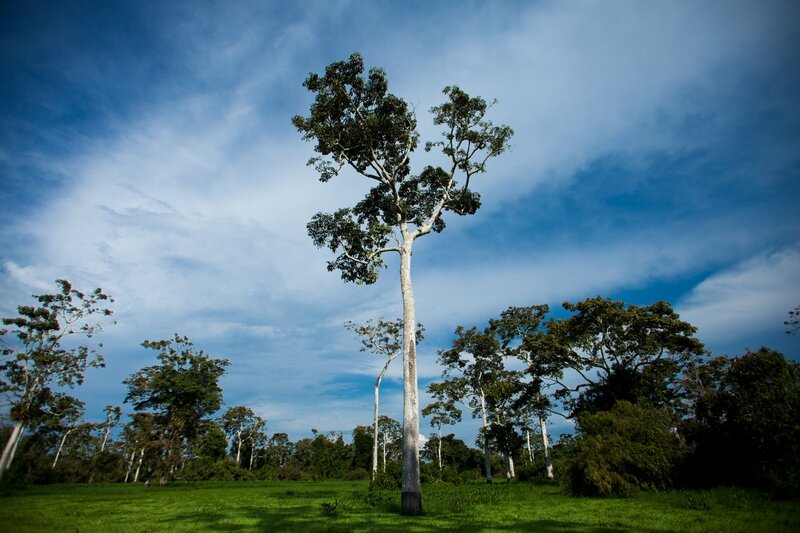 Explore the Pacaya Samiria National Reserve, one of the largest protected reserves in the world. Walk through virgin corners, flooded forests, lakes, marshes and wetlands, and discover the most amazing wildlife. The greatness of navigating the largest river in the world aboard one of our ships is the luxury, comfort and exquisite services of a unique adventure on one of the world’s last frontiers. Delfin Amazon Cruises was created in order to take the traveler further, approaching virgin and unexplored places, which preserve all their original magic. The Amazon river cruises are designed specifically so that you will experience an adventure full of new discoveries and sensations: you will observe amazing wildlife aboard our excursion boats or skiffs, the trial walks through the jungle will bring you closer to the magnificent species that inhabit the shores of the Amazon, and interacting with the native communities will allow you to discover new cultures, new ways of life and traditions. 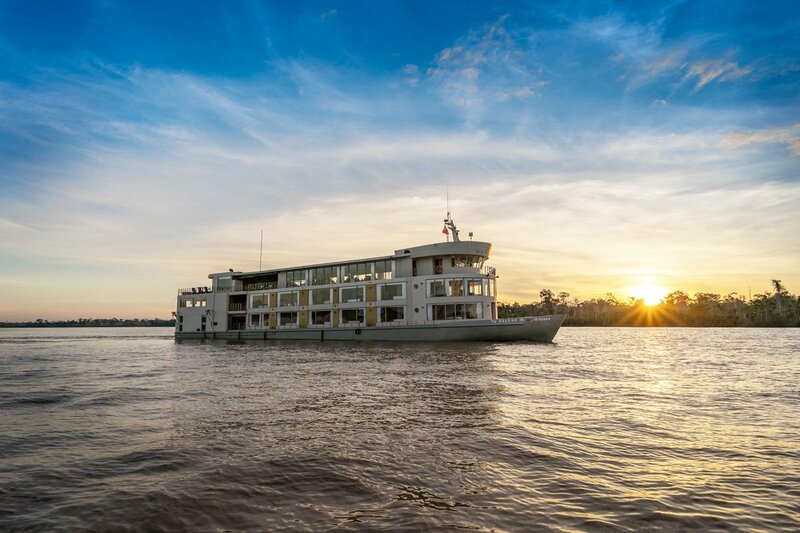 In the same way, our crew on board establishes close and trustful relationships with our guests, facilitating the comfort of each and every passenger who embarks on our Amazon river cruises. Our crew is trained to understand the needs of each traveler and transmit all their passion for the jungle and what surrounds it. 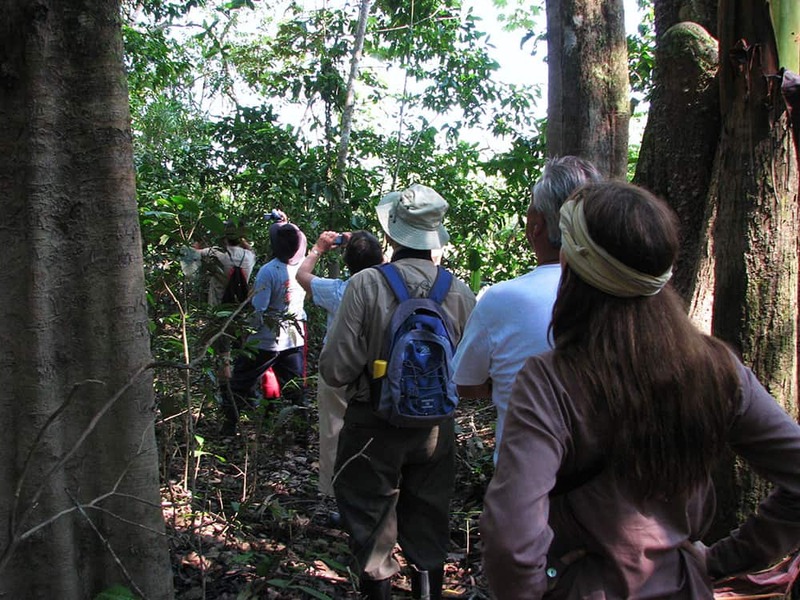 Conversing with our naturalist guides, people in love with the Amazon and with many years of experience in the jungle, is a great way to connect with the history of an immense land. 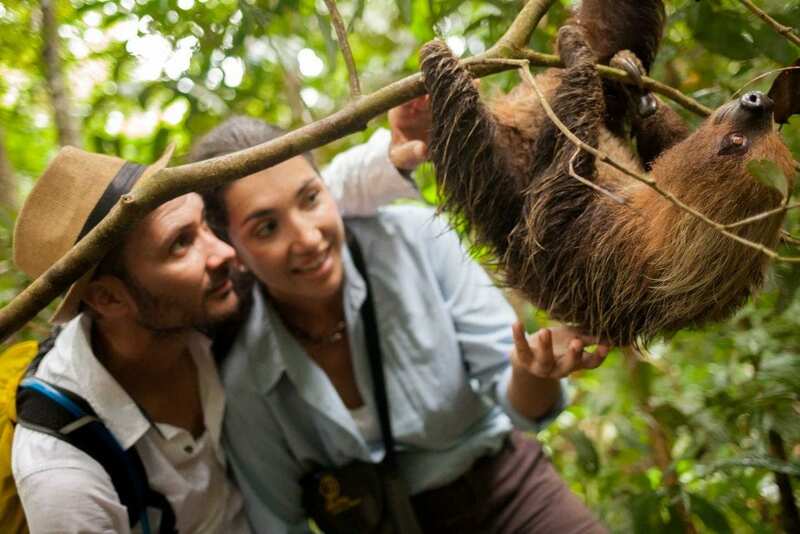 They will train you to discover the species that inhabit the Amazon, and to interact with the communities that keep their own ways of life and culture in the jungle. 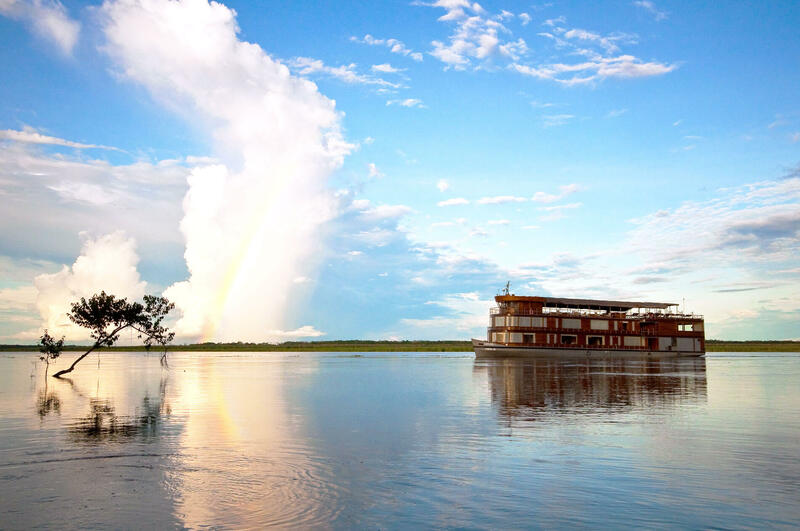 The facilities of our Amazon river cruises will also allow you to enjoy moments designed just for you. On board Delfin Amazon Cruises, finding intimate moments for relaxation, rest or simply observation, is a unique opportunity to continue discovering the jungle without getting off the boat. You just have to take a moment to breathe and enjoy it all! For all these reasons, Delfin Amazon Cruises offers a genuine experience, characterized by the pleasure of discovering the Amazon in greater depth but, above all, in a more authentic and personalized way. Check our next departures and embark on your Amazon experience.